James, the Lord’s brother, is one of the prominent characters in Acts 15. In fact, Paul later refers to the events of Acts 15, and speaks of James, Cephas,and John. Facts and legend are juxtaposed as casually as are artistic creations of different talents and periods. The church is dedicated to St. James the Great, son of Zebedee, who was executed by king Herod Agrippa I in 44 (Acts 12:1-3). Photos were not allowed inside the building when I was there to observe a service. This photo shows the entrance to the Cathedral. Entrance to St. James Cathedral in the Armenian Quarter. Photo by Ferrell Jenkins. 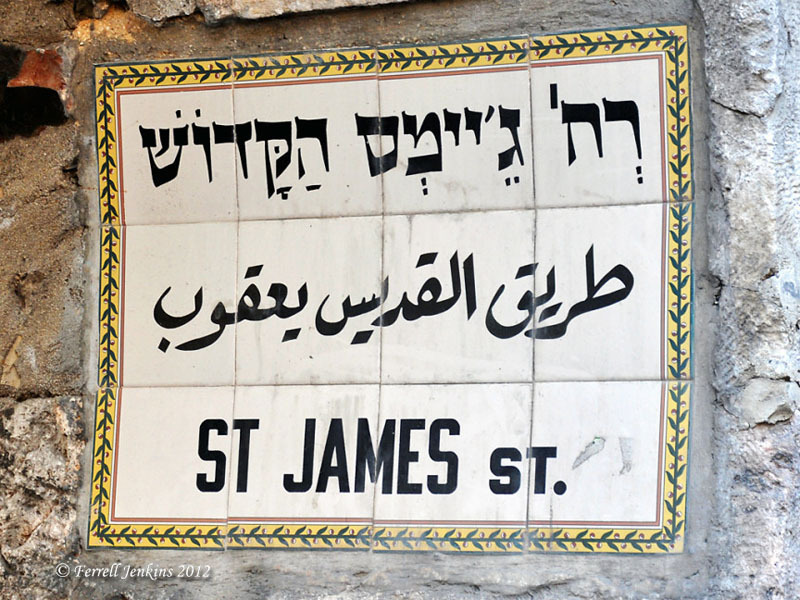 In one of the quietest places in the Old City one comes upon St. James Street. St. James Street in the Armenian Quarter. Photo by Ferrell Jenkins. Other names of interest in the Armenian Quarter include St. Mark’s Street and Ararat Street. A century ago the Armenians had a large presence in eastern Turkey, where the Mountains of Ararat are located. 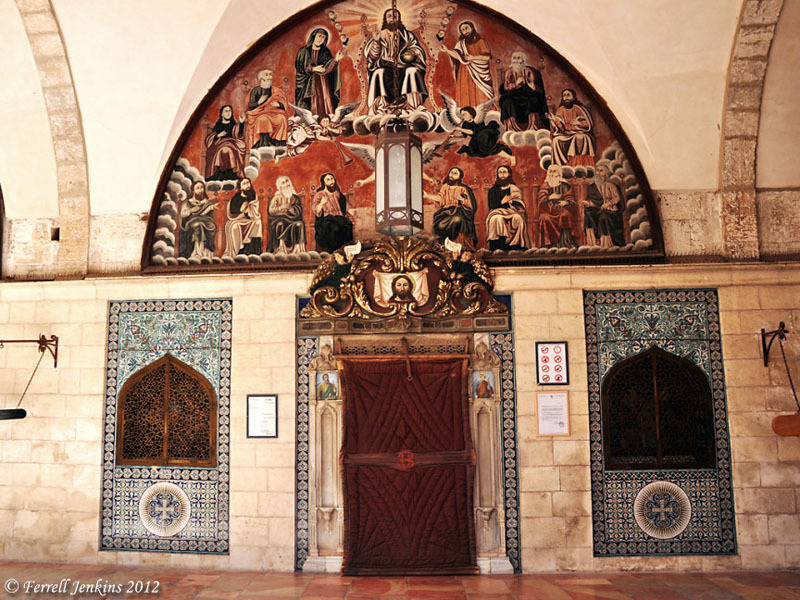 This entry was posted in Bible Places, Bible Study, Book of Acts, Church History, Israel, New Testament, Photography, Travel. Bookmark the permalink.